As anyone who has stared at a wintry scene knows, winter poses a unique set of drawing dilemmas and opportunities. Some of the hurdles were identified by Harvard students and faculty during‘Drawn to Science’ and ‘Drawn to the Landscape’ courses I led in January. Thanks to the enthusiasm and curiosity of those students, I had a great excuse to go looking for specific answers. I mined reference books and online resources, and have come up with recommendations for how to meet these winter sketching challenges. Drawing trees, branches, rocks, fences, and other things with snow piled on them. Pages 179-192 of Cathy Johnson’s The Sierra Club Guide to Sketching in Naturedeal with drawing trees and forest scenes in great depth. From how to draw different species to how to draw roots, tree branching patterns, and whole landscapes, her explanations are straightforward and easy to follow. Although typically, objects and spaces become lighter (gray and white) the farther they are from the foreground of a drawing, forests can be an exception. In many cases, you may find it makes visual sense to sketch a few foreground trees clearly – with little detail – leaving them primarily white. Then, the background becomes increasingly dark and less distinct, in order to emphasize the forms of the foreground shapes. This ‘wiki-how’ simplifies drawing a forest into a few judiciously placed lines. 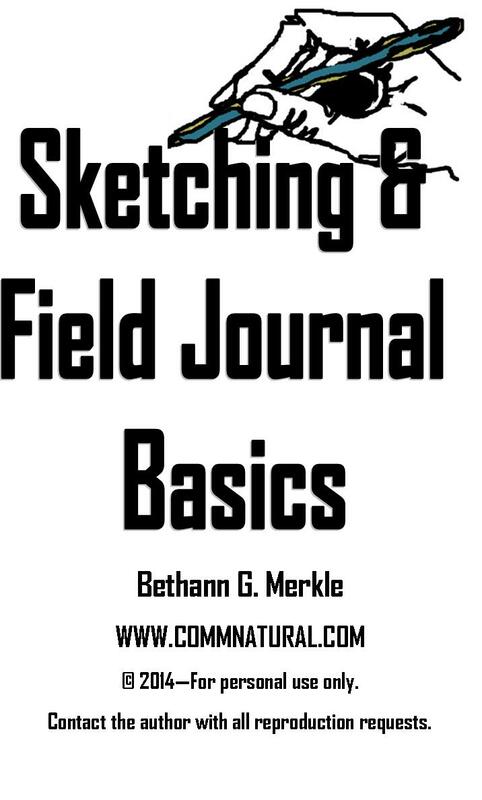 Clare Walker Leslie and Charles E. Roth’s Keeping a Nature Journal provides detailed line drawing examples of how to draw leaves, branches, full trees, etc. Excerpts from that book are available in this online pamphlet about how to draw trees. background approach (albeit in early spring). The rest of this post is available on my website (www.commnatural.com) under the title 'How to draw 8 specific things in winter.' Feel free to click on over to it, and share any suggestions you have for winter drawing in the comments!